Nero was often known as the “Madman of Rome” and was hands down the most notorious Roman of all time. He made the daily lives of Romans a grim affair during his reign which lasting from 54 AD to 68 AD. So what is an infamous near-dictator doing on this list? Well, when you make a list of famous people, you put in the good, the bad, and the ugly too! 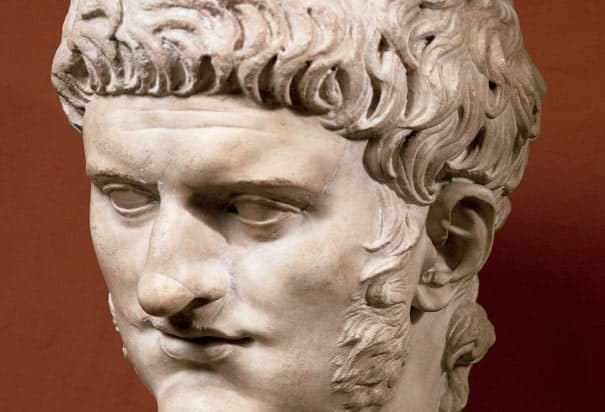 Nero was part ugly and all bad. During his rule, two-thirds of Rome was burnt down, which led to a massive loss of life and property. And even though he could not stop the blitz, he did not even try to put out the fire. Instead, he saw Rome burn to the ground from his palace, singing through the entire catastrophe. Things get even uglier when the evidence points to Nero being the one who started the fire in the first place because the Roman Senate had refused to give him land to build a new palace. The first thing he did once the fire had died down was to build himself a brand new palace in the newly vacated space. Most of us are familiar with this emperor turned wanna-be gladiator from the famous movie Gladiator in which Emperor Lucius Aurelius Commodus was played by the gifted actor Joaquin Phoenix. Breaking the trend of accession to the throne based on merit, Commodus took the throne as a right by birth. 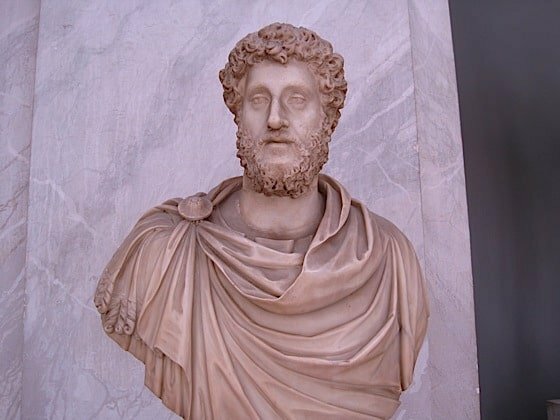 His father, Marcus Aurelius, was considered one of the greatest Romans to have ever ascended the throne, and Commodus, quite understandably, could not live up to his standards. But his failure as an emperor was so epic that it undid most of the good that Marcus Aurelius had toiled to achieve during his reign. A cruel, power-hungry egomaniac, he saw himself as numero uno in the world. 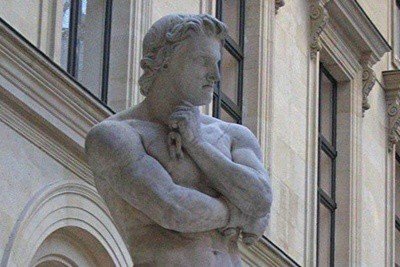 He styled himself on Hercules, and fancied himself as a gladiator, often neglecting his political duties and entering into the fighting arena against weak and poor opponents. Needless to say, this guy was hated by most Romans, and he was eventually assassinated by his own inner circle. 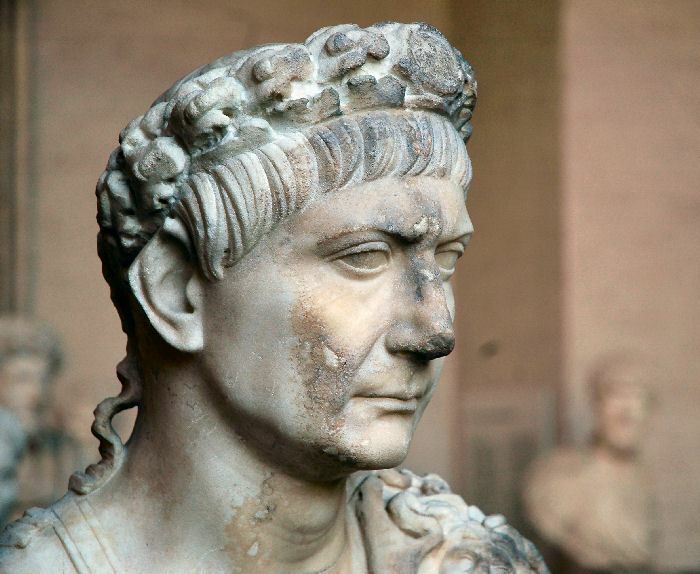 Spanish by birth, Marcus Ulpius Trajan was the first Roman emperor of non-Italian origin. And he sure did go on to become one of the most outstanding emperors of ancient Rome. His reign saw Rome reach new heights of development, and a considerable expansion of the empire. Unlike his many predecessors, he treated the Roman Senate with respect, and always made sure the most competent and honest candidates were designated the rulers of the provinces. Trajan had served as a soldier under his father’s reign. However, he was not just an emperor with a solid military background, he was also known for his wisdom and dignity. His first priority was always the welfare of the common people. He provided free grain to the poor and even set up funds for poor people and children. He also facilitated many popular public developments such as new roads and harbors. Needless to say, the reign of Emperor Trajan was a glittering one. Even though Tiberius Gracchus came from one of Rome’s elite families, he was known for his struggles on behalf of the poor people of Rome, and made commendable efforts to bring relief to the lives of the have-nots along with his brother Gaius Gracchus. As a distinguished officer during the Third Punic War, it was his negotiating skills that saved the lives of more than 20,000 Roman soldiers when they found themselves in dire straits in Numantia. 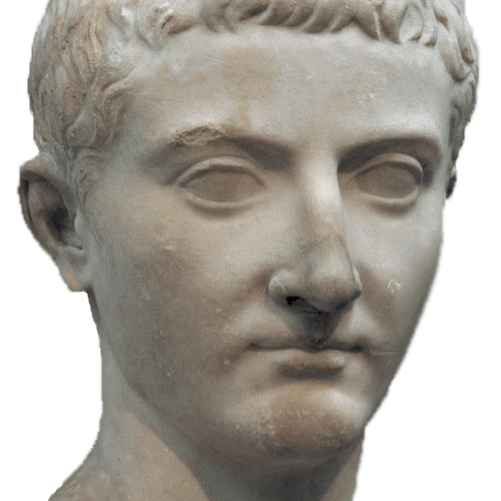 Even though this move was resented by the Roman Senate which felt that the Roman army had given up without a fight, Tiberius recognized the fragility of Roman power. However, he is best known for his ideologies and practices of equality between the upper-class elite and lower-class peasants. With the plight of peasant workers worsening every day, the rise of slave labor further degraded the peasants, and for obvious reasons, his ideas were not popular with the Senate and the Roman elite who owned much of land. Eventually, he was assassinated in a riot sparked by his senatorial opponents. Constantine I was also known as Constantine the Great, and he happened to be one of those emperors who did true justice to their names. The vast Roman Empire had been divided up between many different rulers by the third century AD. Constantine defeated all the would-be emperors and unified the divisions in the Roman kingdom. He then decided to relocate the capital from Rome to what was then Byzantium. Still not satisfied, he went on to rename the new capital as the more familiar-sounding Constantinopolis. 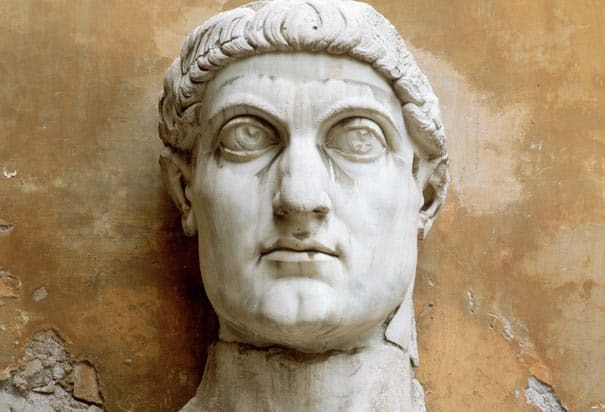 Constantine is known in history as the first Christian Roman emperor. He not only initiated the evolution of the Roman Empire into a Christian state, but also opened a pathway for a culture with distinct influences from Christianity, which eventually had a huge impact on Western medieval culture. This legendary Roman general and statesman single handedly evolved the Roman army into one of the most effective and well-organized fighting bodies the world has ever seen. 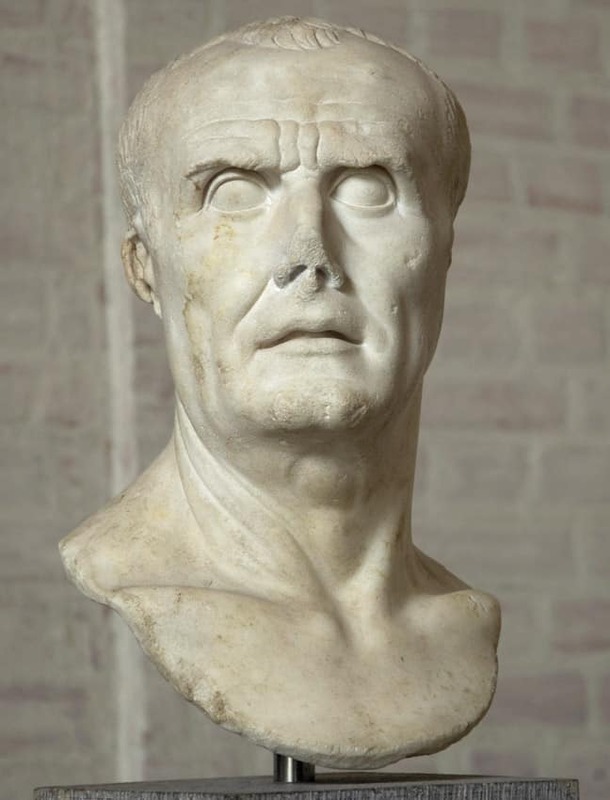 A cunning tactician, Gaius Marius also held the office of consul an unprecedented seven times in a row. However, he is best known for the changes he brought about to the Roman military legions, dramatic and influential reforms that forever changed the rules of engagement. At a time when attacks and invasions from barbarian and German tribes posed a huge threat to the entire Roman Republic, he saw the need to increase recruitment which was significantly down because of the strict standards that had been set for potential soldiers. But once Marius took over, men from the provinces could sign up for the army and in time become Roman citizens. He went on to win many decisive battles with his new army, the famous ones being the battles of Aquae Sextiae and Campi Raudii, where his victories saved the republic from a seemingly inevitable barbarian defeat. “Gratitude is not only the greatest of virtues, but parent of all others.” This timeless quote, and many others like it, came from the famous Roman philosopher Marcus Tullius Cicero. 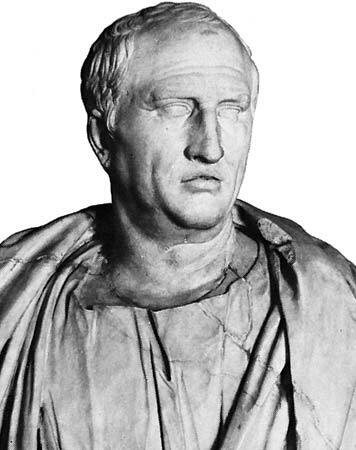 Widely considered one of the greatest orators and writers to have lived in ancient Rome, he was also a philosopher, respected politician, lawyer, political theorist, consul, and constitutionalist. As a writer, his influence on the Latin language was so immense that subsequent writings up until the late 19th century paid homage to his style. A contemporary of Julius Caesar, Cicero also wrote a number of books of which six on rhetoric survive today along with fragments of eight others on philosophy. 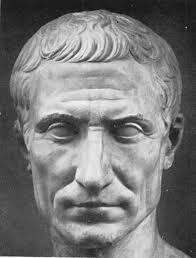 Julius Caesar is arguably the most well known of the ancient Romans. Even though most people may not have the slightest idea when it comes to ancient Rome, chances are that they will still have heard of the prodigious Roman emperor (and self-appointed dictator) Julius Caesar. The conflict in Gaul was proving to be the biggest obstacle to the path of Roman glory, and it was his brilliant campaign to conquer Gaul which led to his success, his strategies still being studied by training generals to this day. He also led expeditions to Germany and Britain, both of which were foreign territories to Rome at that time. But his ruthless success also gave rise to a number of political enemies, who plotted against him time and again. It was when he famously crossed the Rubicon and took control of Rome as a dictator that his opponents silently turned upon him. This animosity eventually led to his assassination which was plotted by Roman senators who repeatedly stabbed him to death. Without a doubt, the most famous gladiator in the whole of Roman history was Spartacus. Spartacus, a Thracian by birth, was a soldier captured in war and then sold into slavery to fight as a gladiator. But as history has proved time and again, while you may take away a soldier’s freedom, the warrior’s fierce will for independence is never surrendered. Before he was enslaved and forced to fight in the Roman arenas, not much was known about him, largely because the Romans never bothered to document the early lives of gladiators. It was estimated that at its peak the number of slaves in Rome was around one and a half million. However, despite repeated slave uprisings, the Romans never took them seriously. Those in power were resting on their laurels. First Spartacus convinced some 70 fellow gladiators to revolt and escape to the slopes of Mount Vesuvius. Then, over a period of about two years until 71 BC, he freed a number of slaves and trained them to form an army of 70,000 individuals. This immediately captured the attention of the Roman Senate, which sent a number of legions to fight the slave force and kill Spartacus himself, but not before he made his mark on Roman history. Born Gaius Octavius, Augustus is known as the founder of the Roman Empire, and a move away from the old Roman Republic and its first emperor. He reigned from 27 BC until his death in 14 AD. The Senate changed his name to “Augustus” in honor of his great achievements. When the conspiracy behind the assassination of Julius Caesar came to light, Augustus went on to avenge his death along with Caesar’s closest ally Mark Antony. He later had a falling-out with Antony, and showing great strength of character, he went on to defeat Antony and the Egyptian queen Cleopatra in battle, thus securing his path to glory. 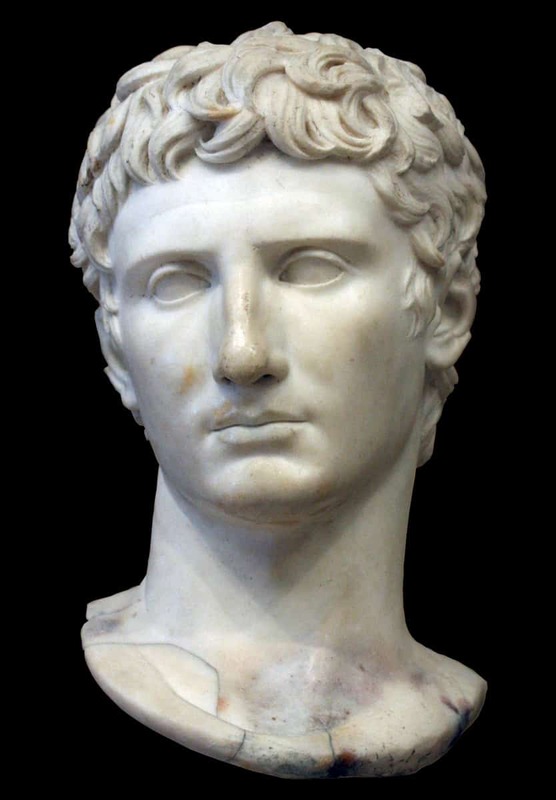 Despite continual opposition, Augustus stood strong and his reign laid the foundations of a regime that lasted for nearly 1,500 years through to the ultimate decline of the Western Roman Empire. Together with the Roman Senate, he scripted a new constitution for the great Roman Empire over which he ruled wisely, building roads, aqueducts, and many famous buildings. He remains to this day the most famous and wise Roman emperor of them all. Ancient Rome had a very rich history which saw the rise and fall of many famous people who are still talked about to this day. From the craziest of the emperors and the bravest of the gladiators to the biggest names in ancient philosophy, ancient Rome did give us its fair share of noteworthy personalities. In fact, this list probably does not do justice to the subject for there were many other famous Romans who could have easily made it on to the list. But since we had to choose only 10, the aforementioned Romans were indeed outstanding figures in Roman history. Spartacus before Sulla? No Sulla at all? Commodus and Spartacus? What about Marcus Aurelius, Scipio Africanus or Caligula ? Caligula is actually really important because of the way he became sick then supposedly became possessed and began viciously killing people. Also, Spartacus over Julius Caesar!? I guess that Spartacus was more a romantic symbol (a rebellion leader) than Gaius Julius Caesar IV (a military leader and conqueror) so he comes before. Glad that this list includes Augustus but… why is Marcus Aurelius not included? Trajan is of course popular, his reign topped the Roman regions to its largest. Sulla and some other dictators may be famous, but I guess Caesar is the most famous so this only lists his name. So… what do we have? guys like Mary said this is 10 people and Hannibal wasn’t a Roman leader he lead the Carthaginian army and beat the heck out of the Romans in the Punic wars. The one Roman who even though personally was insignificant . His name has been uttered more times than anyone else Daily millions of times and known more for what he did not do than what he did. In Christian Creeds and the Bible everyone knows who he is associated with and what event. For religious reason, isn’t Constantine I way more important? 1. It’s unknown if Spartacus was Thracian. He fought as a gladiator in the “Thracian” style. That doesn’t mean he was Thracian. 2. The innovations Marius introduced to the Roman – they eventually led to “professional” armies dedicated to individual leaders and away from the citizen armies which had been a bedrock of the Republic. AND, Marius, in old age, was the instigator of a terrible civil war. Mixed legacy at best. 3. Nero was hated by the Senate. Senators, or those sympathetic to the senatorial class, wrote Roman history. Nero opened the palace to homeless Romans after the fire. He wasn’t in Rome at the time of the fire. The “playing music” during the fire, was anti Nero propaganda. Yes, he was a terrible emperor.